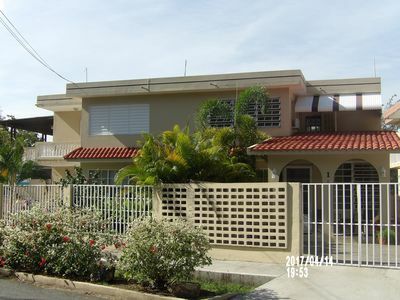 Renovations just completed at this beautiful, well equipped and modern 3 bedroom, 3 bathroom villa. 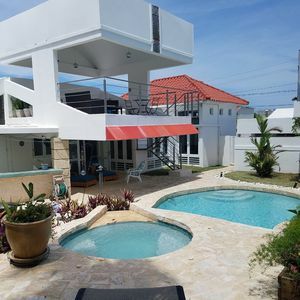 The villa is located in Beach Village and is a controlled access property located within Palmas Del Mar Resort in Humacao, PR. 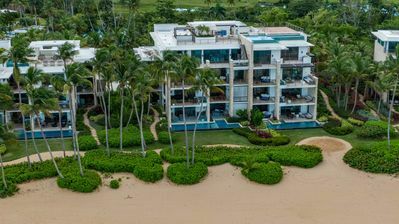 Palmas del Mar is a unique beachfront resort located just 50 minutes from San Juan airport and cruise ship terminal and is an ideal location for exploring the east side of the island. The Villa is on a second level and is steps away from the beach and pool. 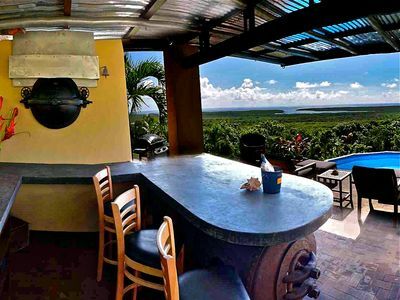 You can relax on either the large front terrace with ocean view or the back terrace with a golf course and mountain view. 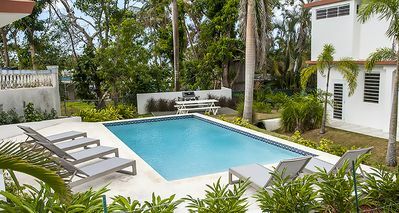 The villa is walking distance from beach, tennis courts and hotel. A truly relaxing and private retreat. 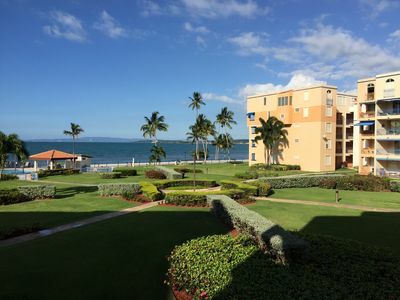 Within the 2,760 acres of the complex you can find two golf courses, 20 tennis courts, 3 miles of beaches, miles of jogging path, fishing, marina, snorkeling and fishing excursions, restaurants and stores. 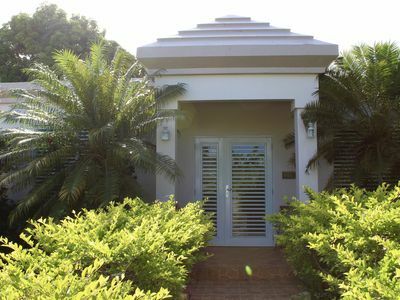 Palmas del Mar Athletic passes (PAC) are available when you book this villa. 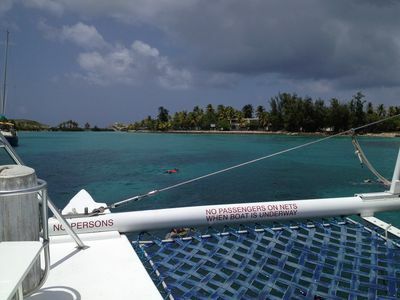 With passes you get discounts for golf, tennis courts, fitness center and access to the beach club. 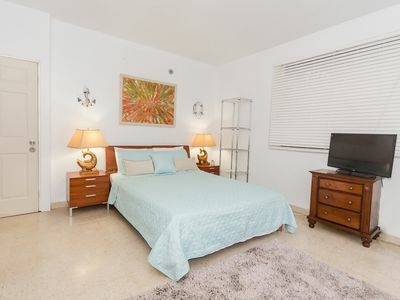 The villa boasts 3 bedrooms and 3 bathrooms! 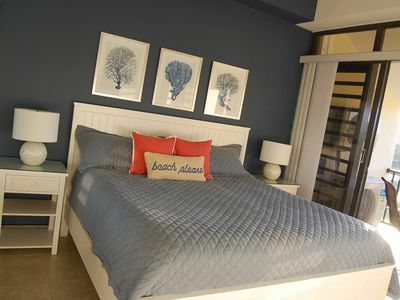 Master bedroom #1: King bed, private bath, terrace and view of the mountains and golf course. Bedroom #1: 1 queen, 1 full and 1 twin bed. The third bathroom is accessible from the hallway. 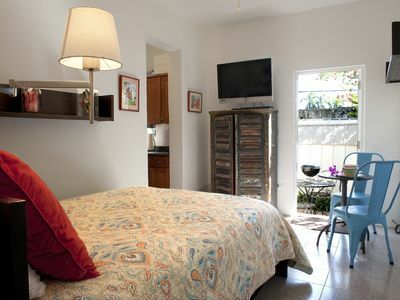 This villa sleeps 9 comfortably and we can accommodate small children. 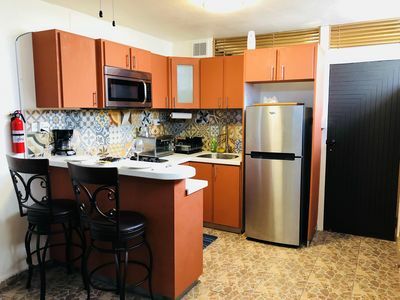 It includes a fully equipped kitchen and laundry. 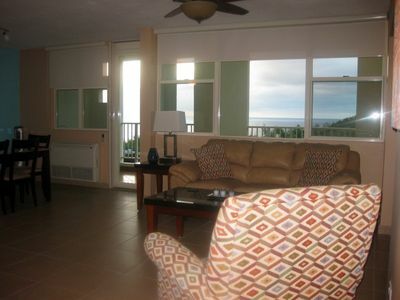 The villa has a 48" flat screen TV in the living room and 32" flat screen TV's in all the bedrooms. 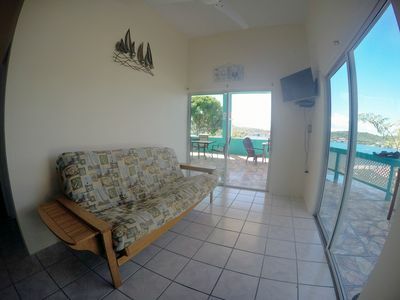 It is served by central air conditioning, cable, internet and free Wi-Fi. 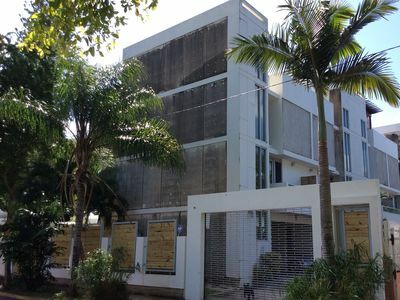 This villa has no current reviews because it was undergoing a complete top to bottom renovation and is new to the rental market. 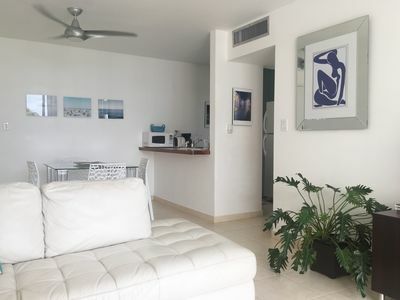 Spectacular Studio Located On The Beach! Just Relax !!!!!!!!!! We are back to normal. Enjoy!!!! WE ARE BACK! Summer All Year Long. Exclusive Area. 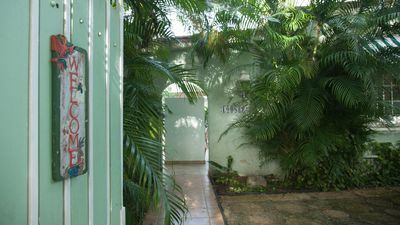 Garden Studio half block from the beach! Beach Front Secluded Tropical Paradise! 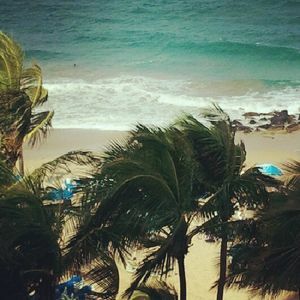 Villa Palmar @ Playuela! 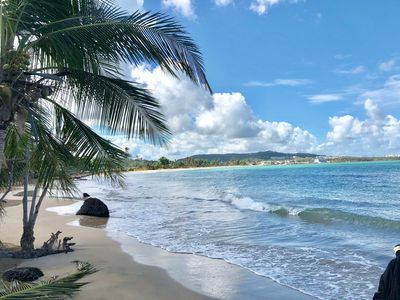 Come Explore Punta Borinquén Surf Reserve! 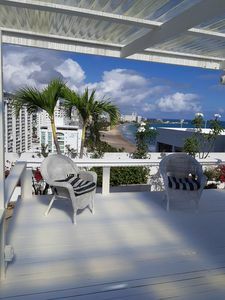 Stunning beachfront property perfect for a vacation stay!